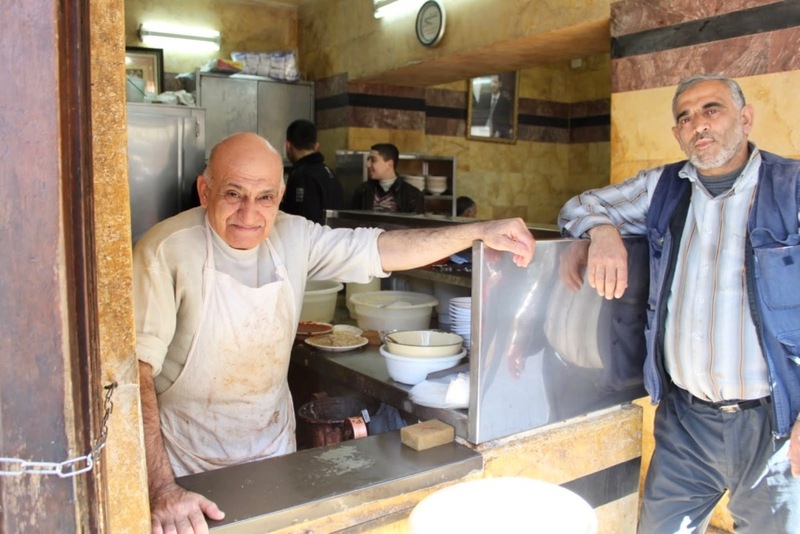 One of the most popular and iconic restaurants in all of Aleppo was Abu Abdo’s— a tiny fava bean parlor tucked away in the city’s historic Jdaydeh district. There was only one item on the menu: ful (fava beans). 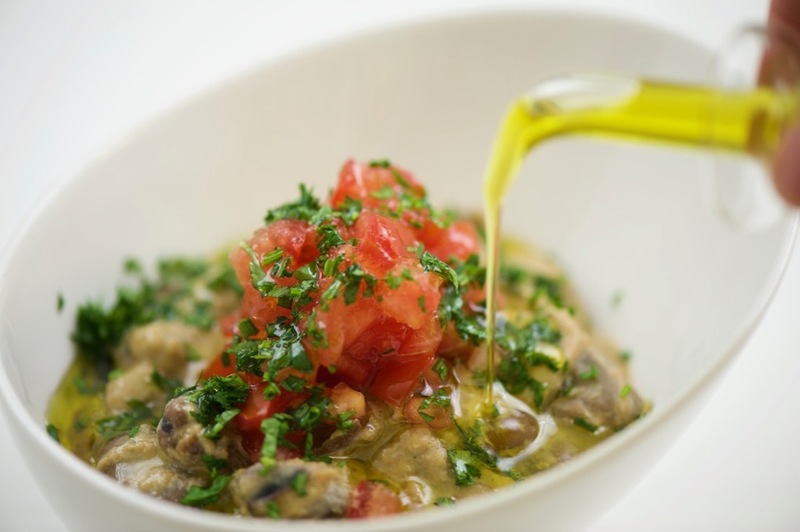 Fava beans for breakfast is to Arabs what steak and eggs is to Americana. It’s the beloved breakfast of champions. 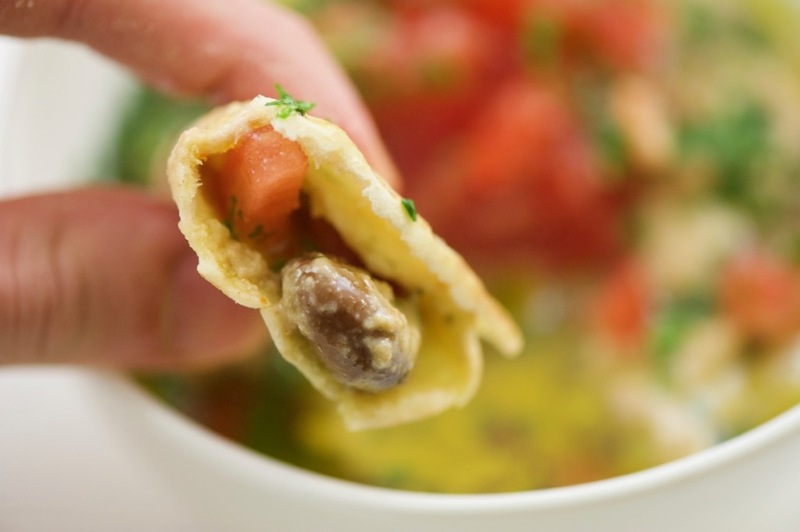 One bowl of fava beans packs enough fuel to keep you going all day. Abu Abdo’s dad, Abdo, opened the iconic shop bearing his name in 1885. Everyone from celebrities and high-ranking politicians to the poorest in the community have eaten at Abu Abdo’s. Wealthy entrepreneurs have tried to convince Abu Abdo to sell his shop or open a franchise, but Abu Abdo always turned down these offers. He has worked behind the counter, serving the community, since he was twelve years old. Abu Abdo’s shop has a couple tables, but most patrons pick up their fava beans to-go (سفري) in small plastic bags. Abu Abdo is always the one behind the counter, greeting customers while frantically filling orders. He wouldn’t have it any other way. Unfortunately, Abu Abdo’s has since closed due to the ongoing war in Syria. The historic Jdeydeh district has sustained substantial damage from fighting between rebel and government forces. The secret to Abu Abdo’s success though was never tied to his fava beans. He was successful because of the way he greeted and interacted with his community. He was honest, kind, and never turned away a hungry visitor, regardless of how little money they had. Kids would sometimes ask how much ful they could buy with 5 Syrian pounds (the equivalent of a few cents), knowing Abu Abdo would take care of them and their families. Abu Abdo was committed to his craft, as was his father before him. He never let fame get in the way of his work. While you can find ful in a can these days, it’s a treat to pay homage to this hard working Syrian legend by recreating his classic fava beans from scratch. Rinse dried fava beans. 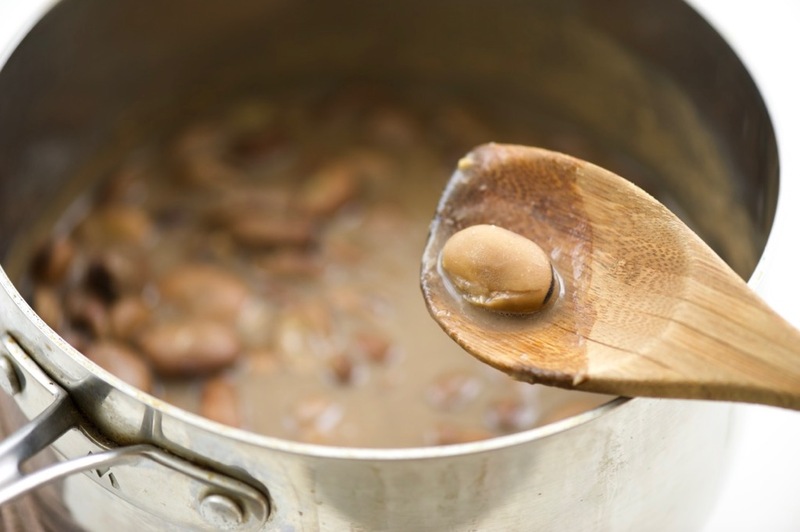 Soak beans in cold water with 1/4 tsp of baking soda* for 36-48 hours. Rinse soaked fava beans in cold water. 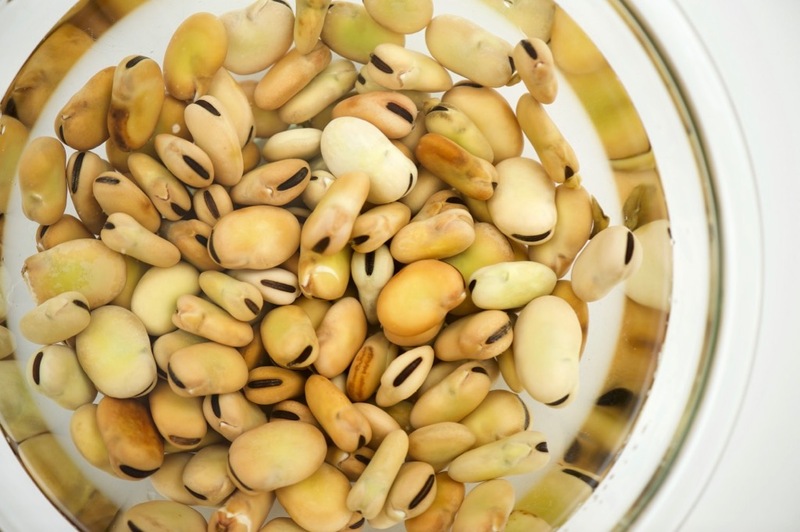 Fill a large pot with cold water and cook fava beans for 4-6 hours or until they are soft. Do not add salt until the very end. 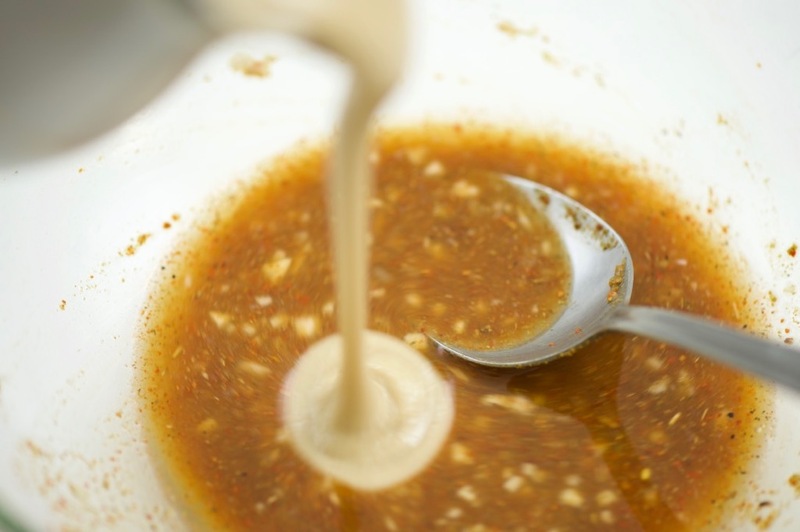 Prepare the sauce by mixing freshly squeezed lemon juice with garlic, cumin, Aleppo pepper, and tahini. Season with salt (to taste). While the beans are still warm, drain (don’t worry about removing every drop of water) then toss with the tahini-lemon-garlic sauce. Serve alongside, diced tomatoes, chopped parsley, chunks of raw yellow onion, fresh mint, and plenty of extra virgin olive oil. You can eat the ful with a spoon or with pita bread. Notes: Soaking the beans in water with a little baking soda helps yield a more tender, creamier bean. You can add a spoon of red pepper paste to the top of your ful for a spicy kick. 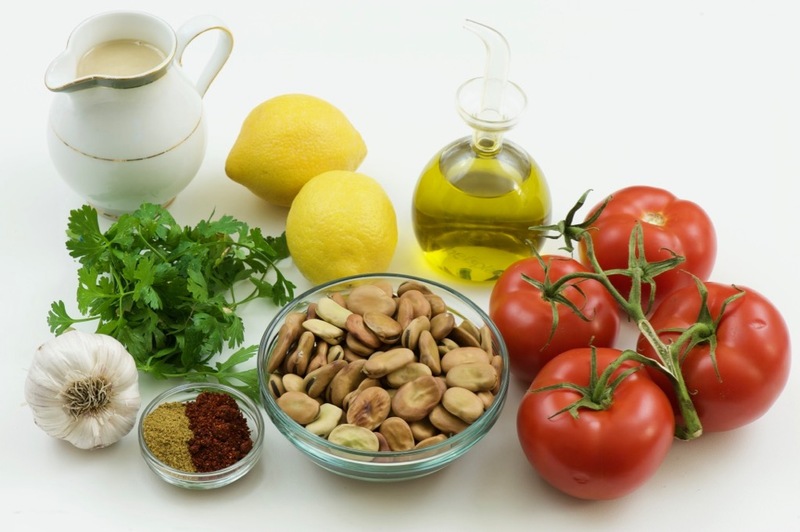 Posted in breakfast, Courses, entrees, Middle Eastern, North African, recipe, savory by Antonio Tahhan on April 1st, 2018. You can follow any responses to this entry through the RSS 2.0 feed. You can leave a response, or trackback from your own site.